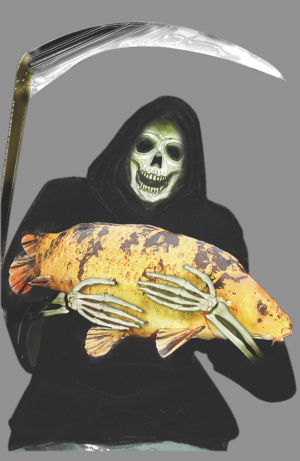 FEARS are growing about the possibility of a fish death pandemic this year in the UK after outbreaks of carp diseases. Carp diseases alarm includes warnings to look out for KHV. 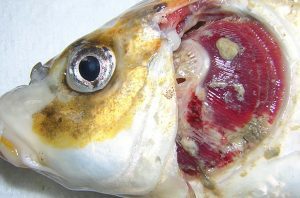 This fish is suffering from gill necrosis. THE cause of the major fish kill at London’s renowned Walthamstow Reservoir complex, has been revealed as Carp Edema Virus.